For this trick you need to draw a pentagram and have two dice. 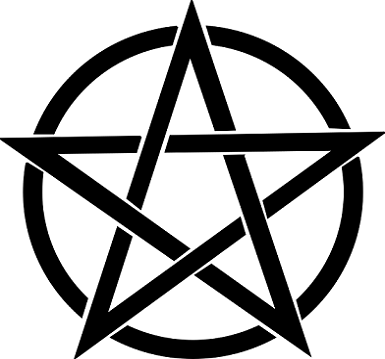 "Note that the pentagram has two horns, pointing up for black magic and down for white magic. So please multiply the number on the die by two." "Now, the pentagram has five sides, a very important number, so please add five to the last number"
"The pentagram also has five points so multiply the last number by another five." "Now, with my back turned roll the other die, add the number rolled to the last number, and cover it like the first die. Finally please write the number you have in the centre of the pentagram." You now turn to face your subject and the pentagram and simply subtract 25 from the number written to magically guess what the dice values thrown are. For example, a 5 thrown first and 4 last.